The Amalfitani Coast, or simply the Amalfi Coast, is a beautiful and rugged coastline with small waterfront towns beneath towering cliffs. It runs for about fifty kilometers west from Salerno to the tip of the Peninsola Sorrentina. A narrow twisting road, little more than a single lane wide for much of its length, links the towns along this coast. I have a lot of pictures in this collection! You could look at these in any order, but it would make the most sense to look at the pages in order. 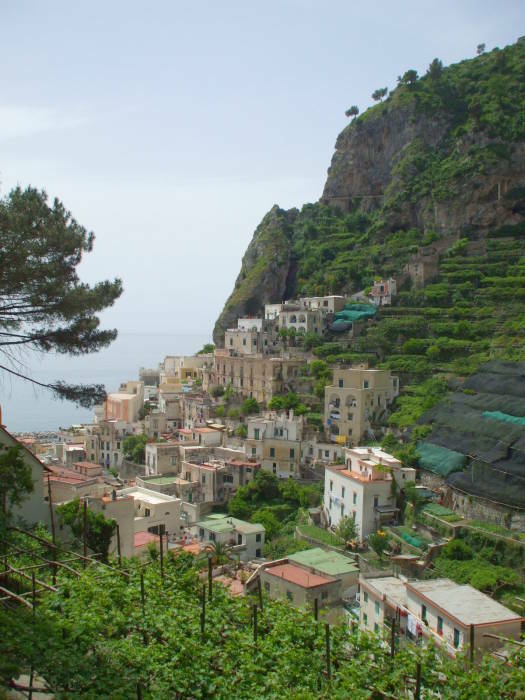 Start by traveling south from Napoli and arriving in Atrani.